A world time wristwatch which can be easily programmed for two specific countries automatically altering the date and day /night indication depending on the associated time of day. Functions: Central seconds, minutes and hours. Instant-jumping time-zone display with synchronized date, day/night indication and city. Below, the case back is removed showing the movement held in place. 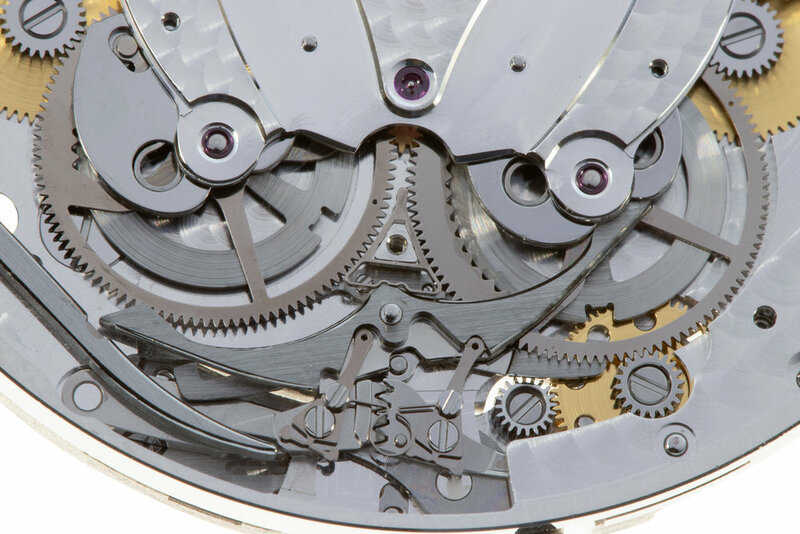 The movement is fixed on to the time zone module, the module in-turn is screwed into the case centre with three screws supporting the module and calibre together. The case back is held onto the centre using 8 red gold screws. The dial is made in 18 carat gold, the guilloché decoration executed on rose cutting engines operated by hand. It comprises of 20 different components (excluding the cover for the day/night disc) which are hand assembled . The back of the day/night section is made from a piece of lapis lazuli which is sandwiched in the dial between two layers of gold. The polished gold map is extremely delicate. Historically Breguet has used a secret signature on the dial as a means to protect the authenticity of each watch. In early examples there was a single signature engraved to one side of the number 12. With modern Breguets’, for equilibrium and added security the Breguet signature is engraved either side of the ‘12’. The blue above the ocean surface is lacquer applied by hand. The polished spherical gold hour markers are the mushroom heads of pins which are pushed into gold dial after the guilloché, silvering and printing have ben executed. The screw fixed at 6 o’clock hand pointing down into the city aperture is made from brass, diamond cut to produce mirror facets and rhodium plated. 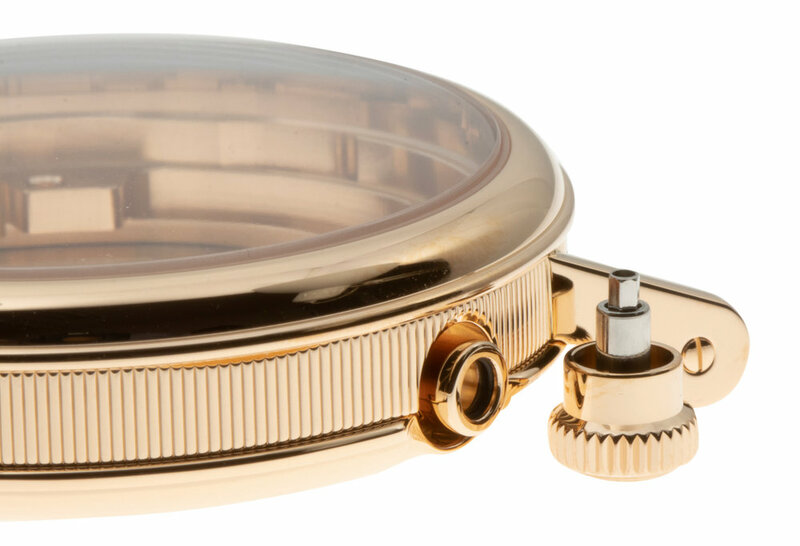 The dial is machined, including the dial feet, from a disc of 18 carat yellow gold. Four dial feet assure extra rigidity on the rose cutting engines when the dials are being cut, as well as security when sitting on the movement and movement ring. They are heavier than many conventional dials because of the density of the material and the large volume of the gold used. The three central screws hold in place the upper level of the dial with the map. Different dials will have different maps associated to alternate part of the planet. The blued steel hands (with the exception of the date hand) are slightly bowed to follow the arc of the domed central dial. The images in the white container show how the hands are stored prior to being assembled. The day/night indicator. The moon face is matt finished and silvered, the day face polished and plated with a layer of 5n red gold. 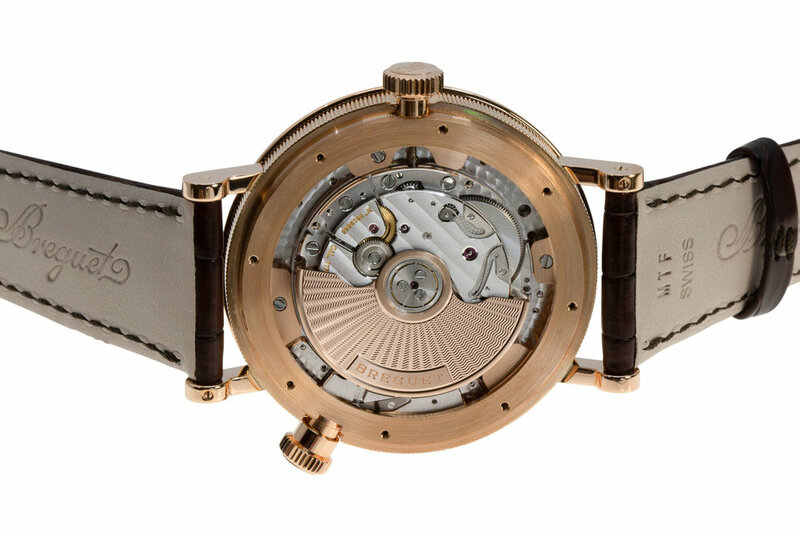 The base calibre of the Hora Mundi, the 77F0 is a derivative of the 777Q found in the Breguet 5177. It is adapted to carry the world time module. For more detail of the 77F0 click here, Breguet 5177. The under dial side of the assembled calibre. Both cities can be programmed individually by the crown at 8 o’clock, which also acts as the button to alternate between the two selected cities. A partially exploded view of the world time mechanism. The below images show the ‘M’ shaped bridge removed allowing the date disc to be dismantled. Once the date disc is removed we begin to see the mechanism for the world time system. The two gold coloured wheels at 4 & 10 o’clock both mesh with the city disc and in-turn link with the heart cams at 6 & 8 o’clock. The large pinion at 1 o’clock moves the date disc as the city is changed, and can be adjusted manually when setting the watch up for the first time. The following layer of components exploded. The rabbit-ears shaped bridge holds in place the broad ‘W’ selection lever with the triangular ends. This piece acts upon the heart shaped cams adjusting the time date and period of day depending on the programmed city. The supporting and guiding bridges/plates holding the discs and components in place. With the city disc and upper bridges removed you can see the majority of the remaining parts of the mechanism. The twin brains of the system are the heart shaped cam/wheel assemblies. The cams allow the functions to be alternated between two selected cities. The lower sections below the cam are part of the system of allowing the different cities to be selected by the user, correctly in relation to the difference in time of day between them. In the centre, part of the ratchet system, allowing the selection lever to pivot back and forwards. The two brains of the mechanism, recto-verso. Under the heart on the left and the disc on the right can be seen a segment of teeth. These teeth associate with the different cities around the world in relation to their position with the city disc and hour adjustment. Levers, racks, springs and bridges. A selection of the wheels from the world time mechanism. 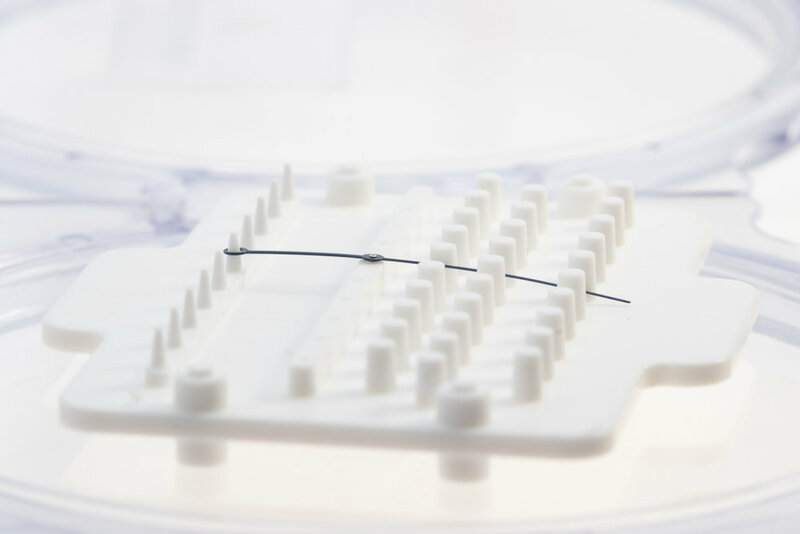 When assembling the watch for the first time the below components are the first to be assembled and are those that have the initial contact with the exterior pusher. The main-plate for the world time mechanism with a ceramic bearing in the centre. Various images of the empty case including images of the two crowns sitting next to their tubes. The system to program each city is simple and intuitive. The ability to switch between the selected cities once programmed is virtually spontaneous. The overall complexity of the inner mechanics resulting in a user friendly/practical instrument remains solid and functions seamlessly. Specialised tooling used during assembly. A FREE HIGH RESOLUTION BOOK VERSION OF THIS DECONSTRUCTION CAN BE ACCESSED HERE. 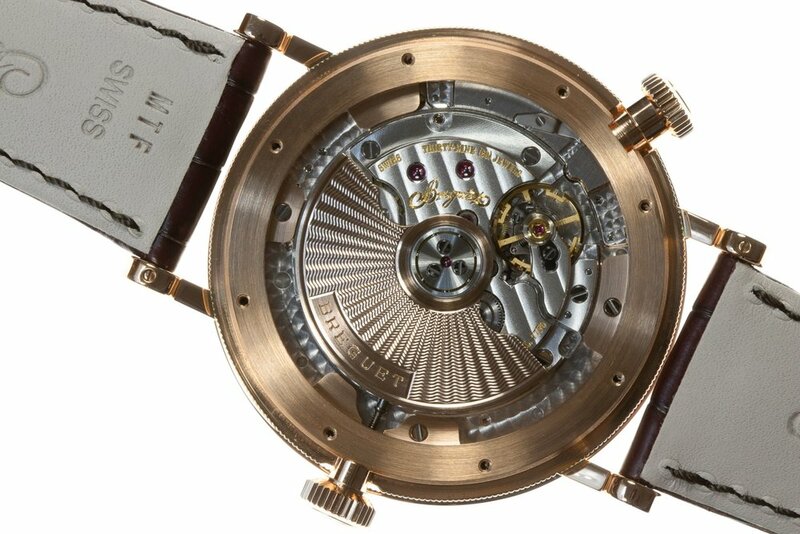 TO SEE OTHER BREGUET DECONSTRUCTIONS CLICK HERE.